Have film screenings with live orchestra really been around so long? Jon Burlingame writing in Variety in 2013, cites a 1987 live screening of Eisenstein and Prokofiev’s Alexander Nevsky by the Los Angeles Philharmonic as the ‘light bulb’ moment when Steven Linder of IMG Artists realized these could be a thing. Thirty years! Is it long enough to prove that ‘Live Screenings’ are not a fad? Of course, music and film have been united for quite some time. Live music – usually a pianist or organist – used to accompany Silent Films. And even in the early days of Sound, Charlie Chaplin favored music over dialogue in, say, a movie like The Kid, although by now we’re talking about music fixed to the permanent soundtrack. The point is what potential does this phenomenon have for any sort of development that will be useful for orchestras? By one reading of history, Classical music has struggled for audiences in the period when films rose to prominence. But suddenly, it seems, re-emphasizing the link between music and movies through live performance has given classical music a new lease on life, providing orchestras with audiences they could once only dream of. 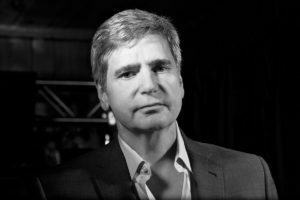 The technology for conducting music live to movies has become more complex since those pioneering days but preparing music for a live screening is still incredibly time-consuming and involves novel musical skills. I met up with Mae Crosby, a former professional orchestral musician who now works for the Los Angeles-based Epilogue Media, a boutique media and technology company that in addition to working in all forms of audio post production creates and adapts existing technology to assist the conductor and musicians with film and music synchronization during the preparation and performance of live film concerts. Most recently they were the technical directors for the preparation and playback of the Star Wars Trilogy with the New York Philharmonic. For “cases where no-one knew that a film was going to end up being done live”, Epilogue produces tempo maps, click tracks, a reliable score that actually matches the locked film (the absolutely final edit), and essentially a conductor video so they can see everything that’s going on. Composer Patrick Morganelli. Reproduced by kind permission. 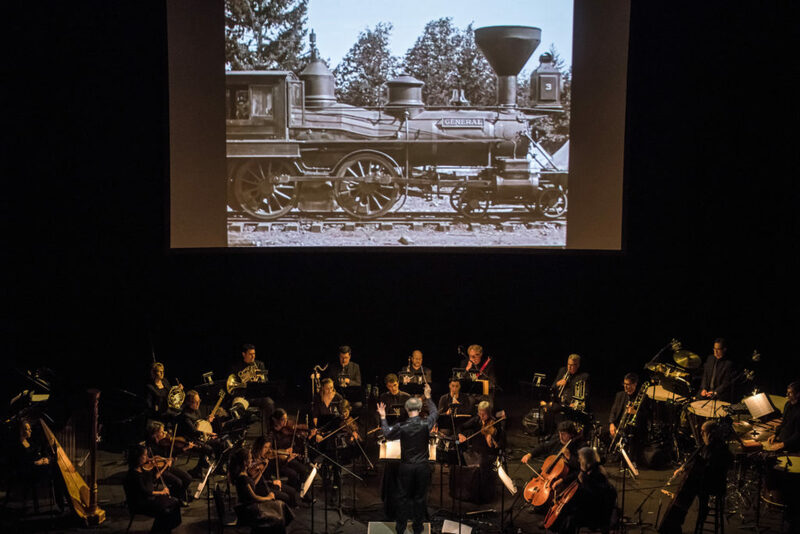 When I see that the Los Angeles Chamber Orchestra does an annual Silent Film performance and this year presented House of Cards composer Jeff Beal’s new score for Buster Keaton’s The General, I can’t help thinking that Live Screenings may revive many unjustly-forgotten Silent Films. Morganelli talks of the two audiences he got for Hercules – contemporary opera fans and Bava enthusiasts. But it could be that the live orchestra is now being conceived as part of the film presentation concept very, very early in the process. Mae Crosby tells me about being involved in the world premiere of Star Trek Beyond at ComicCon where Michael Giacchino’s score was performed live by the San Diego Symphony. Red carpet. Actors. Symphony Orchestra! This article first appeared in the December 2017 edition of The Podium, published by Symphony Services International.